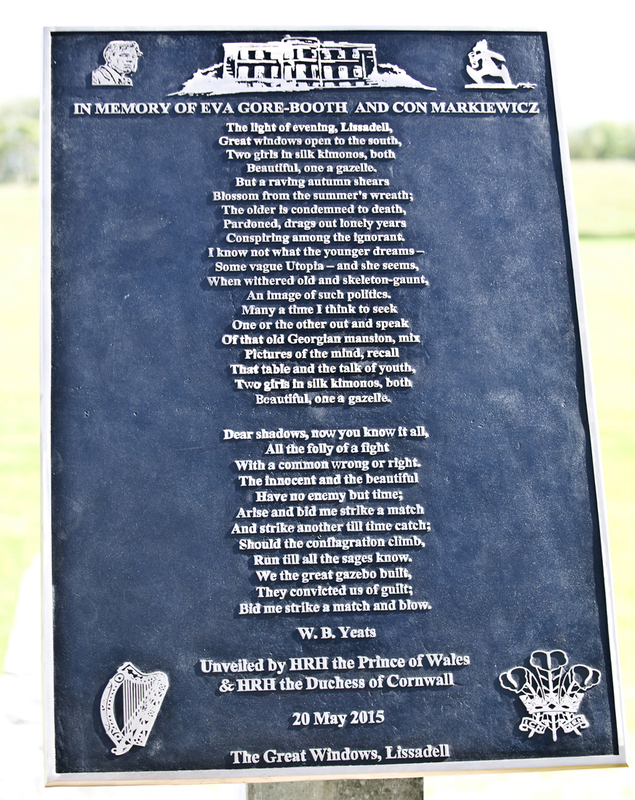 Born at Lissadell on 22nd May 1870, EVA GORE BOOTH, suffragist, artist and poet, was steadfastly devoted to her elder sister Constance Markievicz all her life, although she spent many years in Manchester working to alleviate the condition of working women. Letters to Eva from Constance were preserved by Eva’s long time companion and biographer, Esther Roper. Eva died some months before Constance, who was heartbroken. A gentle, spiritual and sympathetic person, Eva was always interested in expressing herself in poetry and drawing. The poet William Butler Yeats responded to her sympathetic nature by confiding in her his (unrequited) love for the beautiful Maud Gonne. He also encouraged her poetic aspirations, advising her that ‘whenever the feeling is weightiest you are at your best’. Yeats was editing the works of English Poet William Blake at the time, and clearly influenced Eva’s reading. 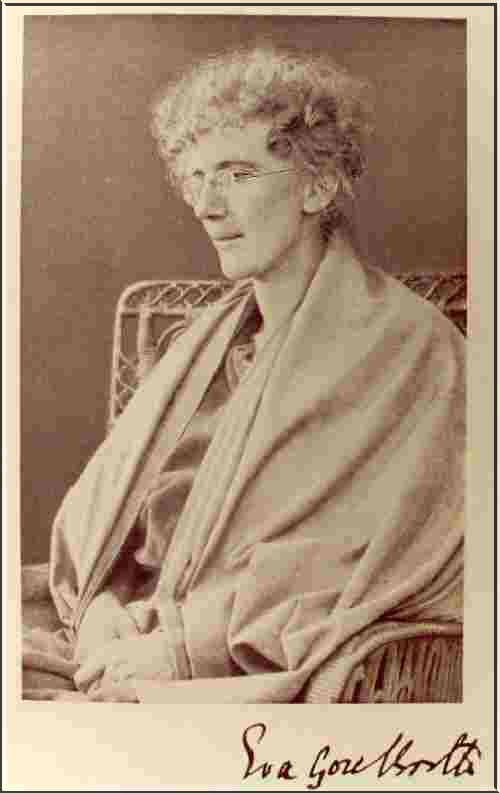 Her three volume copy of the work is now in the Yeats’ study at Lissadell. 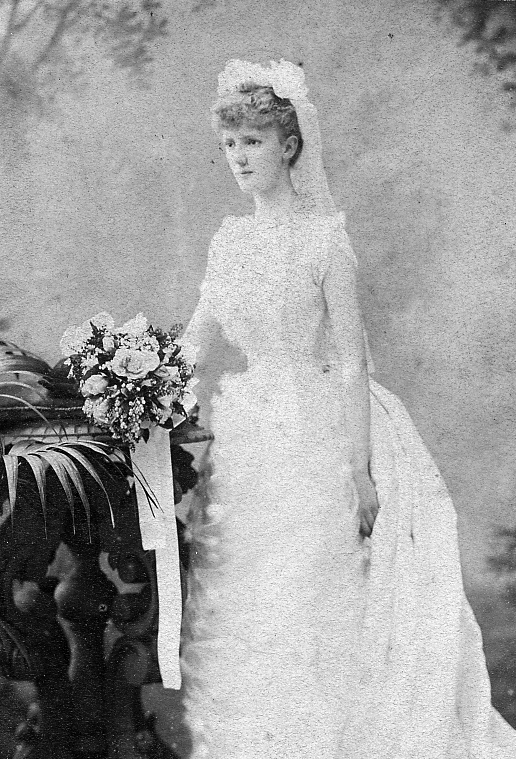 Eva’s first book of poetry was published in 1898. Many of Eva’s drawings, and beautiful editions of her poetry, are now on display in Lissadell. 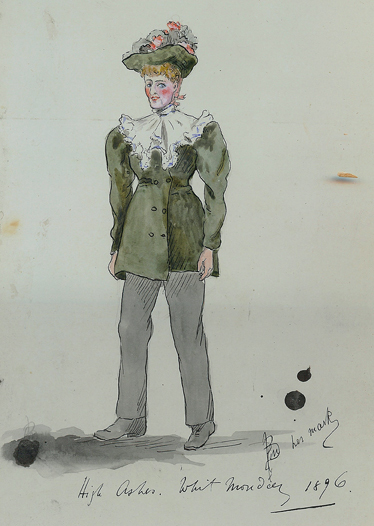 Earlier that year, on a holiday in England, Constance sketched Eva wearing trousers, a sly allusion to Eva’s lesbianism. 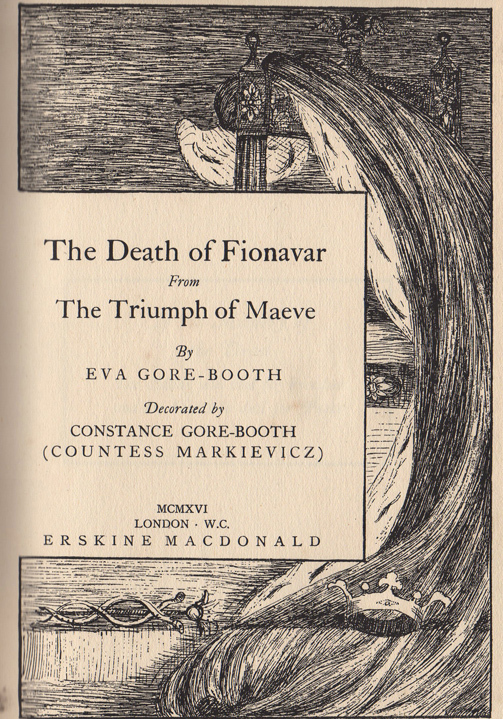 Dr Tiernan published the first dedicated biography of the radical Irish writer and political activist, Eva Gore-Booth. A vast body of material from private collections and state archives has been used to uncover this remarkable life history. In this book Ms Tiernan explores and recounts the fascinating by-election in Manchester of April 1908, two years after the1906 General Election in which Winston Churchill had been returned by a majority as the Liberal candidate for Manchester North-West. 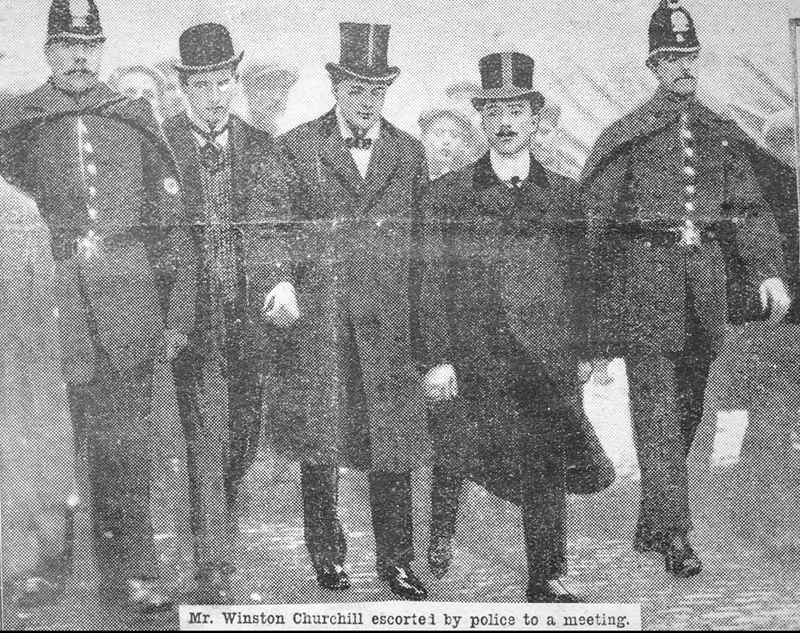 In April 1908 the young Churchill was offered the position of President of the Board of Trade, a cabinet appointment which required him to seek re-election. It should have been a shoe-in but Churchill had supported the Licensing Bill which proposed restrictions on the working hours of bar maids. 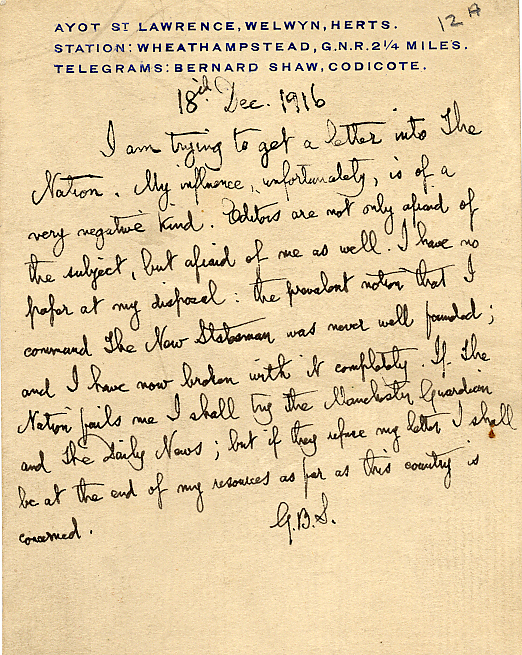 The women’s movement was up in arms, and Eva saw her chance, quickly becoming involved in a campaign to defeat Churchill because of his support for the Licensing Bill. 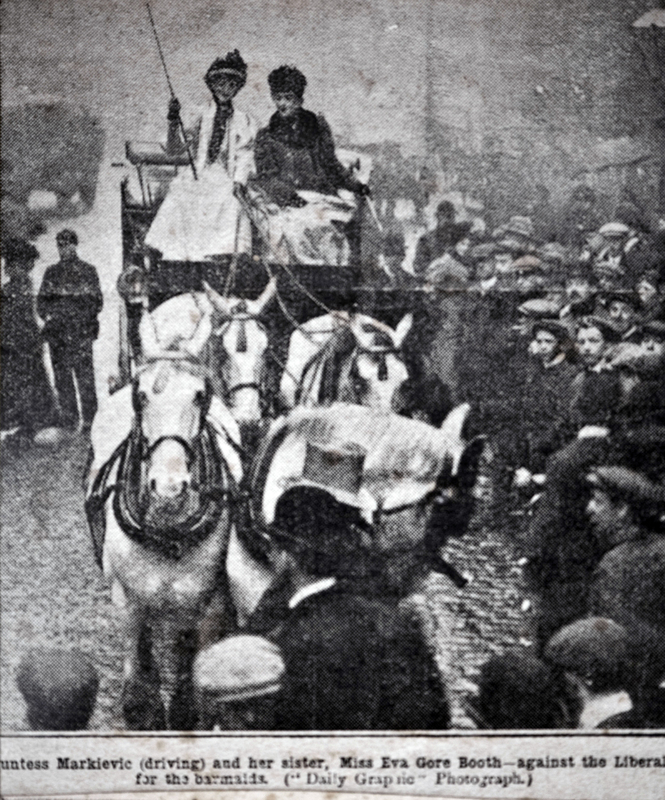 She asked Constance to help – the sisters were great friends and supporters of each other all their lives – and the flamboyant Constance arrived in the centre of Mancester driving a coach with four white horses; Eva spoke from the roof. Constance also spoke, urging voters to support the Conservative candidate Joynson-HIcks because he supported women’s suffrage. Churchill was defeated. 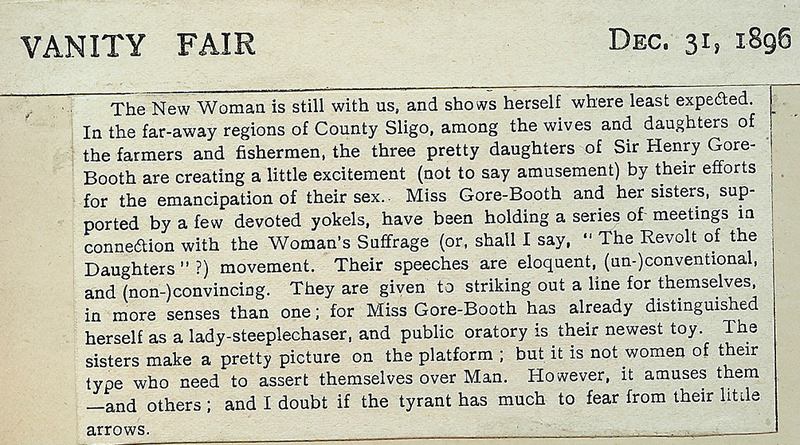 It was a great victory for the women’s movement, and most probably excited Constance’s interest in politics, as it was in this year that she first became involved in politics in Ireland. Within 10 years Eva’s campaigning had led to two crucial changes in the law: first, women were allowed to stand for parliament, and second women over 30 were allowed to vote. Ironically, although Constance Markievicz was the first to benefit from these changes in the law, she declined to take her seat at Westminster (following the absenteeism policy advocated by Arthur Griffith, who believed in a dual monarchy along the lines of the Austria-Hungarian settlement), much to the disappointment of the women’s movement in England. The political writings of Eva Gore-Booth brings together a fascinating array of material from this important Irish author and political activist. The volume includes a selection of letters, political pamphlets, newspaper articles and poetry relating to key aspects of Irish and British events of the early twentieth century; events which are now entering centenary commemorations. The volume is presented in three sections focusing on women’s suffrage and women’s trade unionism, pacifism and conscientious objection during the First World War, and Irish nationalism before independence. Many of these writings are out of print and difficult to source, and this volume offers a valuable research and teaching resource. 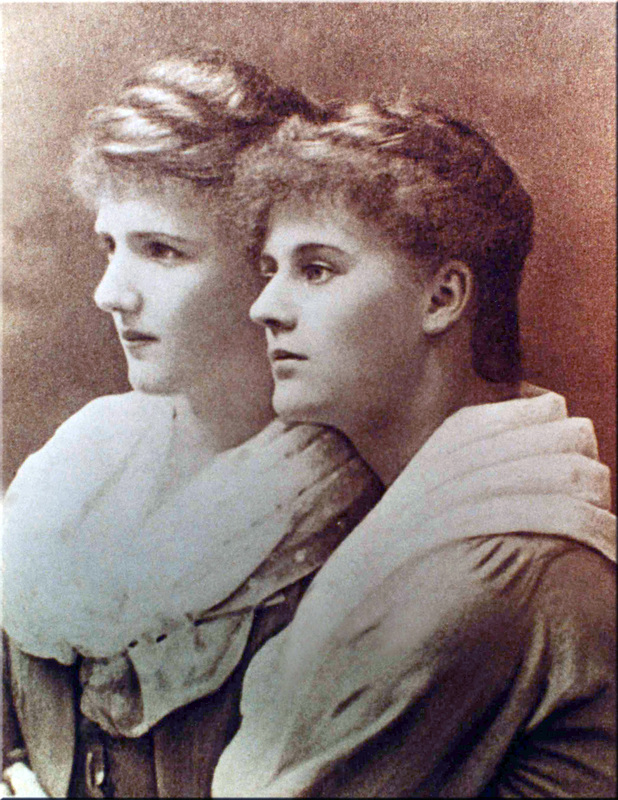 Eva also campaigned vigorously for the release of Roger Casement, and later for the life of her sister Constance, who had been sentenced to death for her part in the 1916 Rising. Eva enlisted the help of all her friends, including that of George Bernard Shaw. And the little roads of Cloonagh go rambling through my heart. And the little winds of twilight are dearer to my mind. And the little waves of Breffny go stumbling through my soul. 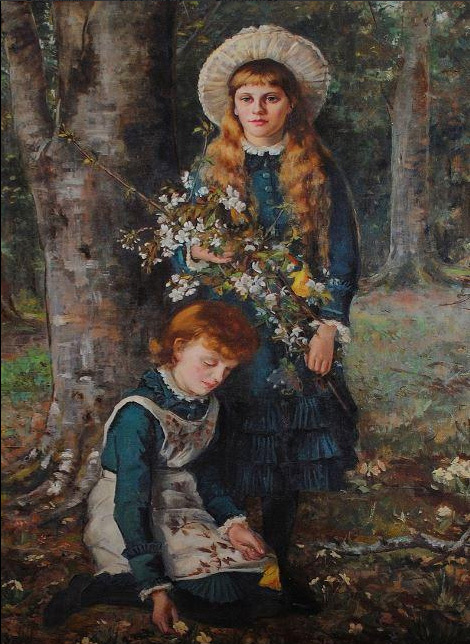 The beautiful painting of the two sisters as girls at Lissadell is by renowned artist Sarah Purser, and David Hicks has written about the works of Sarah Purser in a wonderful book on paintings in Irish Country Houses, see Irish Country Houses: portraits and painters.